From time to time, we’re hearing on the ups and downs AMD is going through when it comes to their supposed-to-be-released dual GPU graphics card, the Radeon HD 7990. And this time, components shortage is letting the final production run into more and more delays. Apparently the PEX8747 PCIe bridge chips by PLX which is also used in the Nvidia GeForce GTX 690 seems to be running short in stocks. 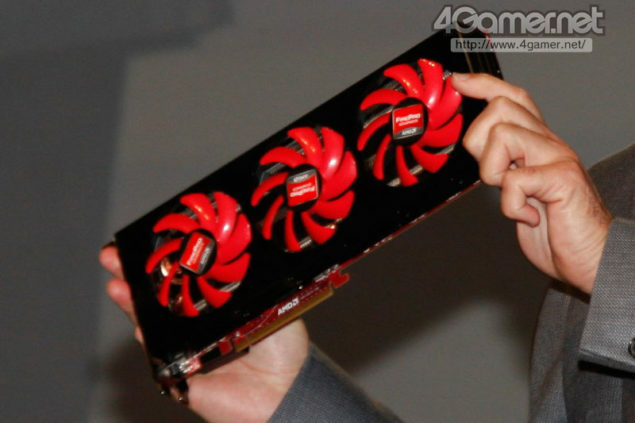 Further off, the launch might have been delayed due to Nvidia busy prepping up its mid-range GTX 660TI and the GTS 650 for its debut in August. So right now, if we even see this launch happening, it wouldn’t take place until the end of August or at least Nvidia launches its new cards to further speed up AMD’s downfall of its current market share.